"The fact that we have over 100,000 satisfied customers and nailed down over 30,000,000 sq. ft. of roofing material, proves no one can beat our expertise"
For most people, the home is the center of their life. At Williams Roofing Company we see your home as an investment, your identity, where your family can feel protected and safe. You may not realize it, but you've most certainly seen our work. It crowns thousands of the most well maintained homes in Monterey County, old and new, big and small. We pride ourselves on helping homeowners select the right roofing style to best complement their home. 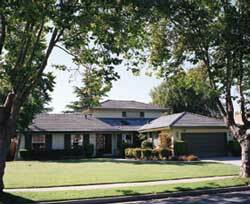 Williams Roofing adds curb appeal, an attractive exterior and impacts the value of your home. Contact us for a free roofing evaluation to provide a cost estimate for your roof repair, replacement, or new installation. At Williams Roofing our highly skilled team of roofing specialists consistently meets the unique needs of our commercial clients. We have developed our reputation with superior customer service and product reliability. And our increasing registry of commercial clients demonstrates that Williams Roofing continues to successfully meet their toughest challenges. We've partnered with building contractors, architects, developers, investors, property managers and homeowners association managers to install new roofing on multi-family developments, office buildings, warehouses, and retail establishments.